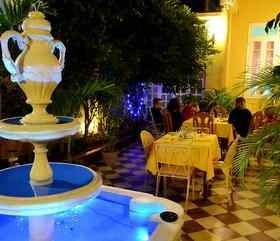 Hostal D´ Cordero is located in the central part of the city nearby Leoncio Vidal Park, just in Santa Clara´s old town. 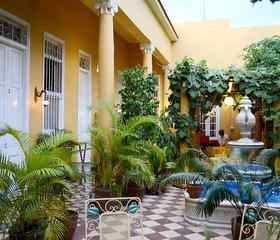 With an Eclectic Style it was built in 1930 by Elio Fileno de Cárdenas, a Senator of the Republic from 1940 to 1948. The house has comfortable rooms with high supported roofs. 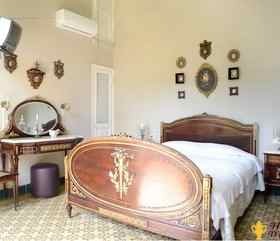 Room number 1 is set in a Venetian Style while room number 2 has an elegant Luis XVI furniture, both have old design bathrooms decorated with sea motifs. 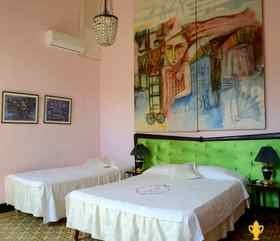 Room number 3 is decked out with pieces of furniture inspired in the 50s, it has a large restored bathroom and a big painting from the local artist Juan Ramón Valdés Gómez (Yiki). 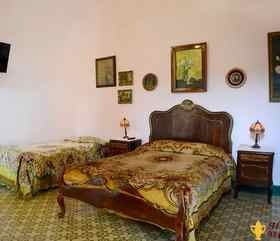 Room number 4 has a Luis XV décor, it also possesses a beautiful stained glass window and a small sitting room furnished with wicker fittings (“Diana style”), it is adorned with a wide collection of contemporary and ancient paintings made by Cuban and foreign artists. 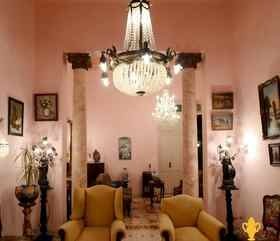 The rest of the house is exquisitely decorated with collections of paintings, lamps, porcelains, crystal and bronze ornaments. 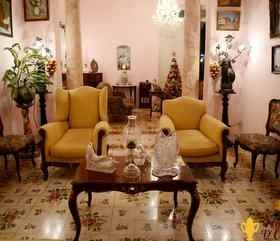 The living room has beautiful mosaics imported from Italy and an impressive Luis XV style furniture which belonged to the famous Cuban poet Dulce María Loynaz rewarded with the Cervantes Literature Award. There is a spacious central patio surrounded by a corridor and a graceful colonnade with pleasing ornamental plants, a bower that offers visitors a place to relax and an ancient fountain which is not only a beautiful ornament but also represents the distinctive marc of the house. Hostal D´ Cordero se encuentra en el centro de la urbe y solo una cuadra del parque Leoncio Vidal, en una zona tranquila, segura y alejada del tráfico citadino. 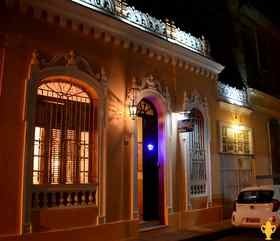 Muy cerca permanecen lugares imprescindibles para el contacto directo con la cultura santaclareña y cubana como el Teatro La Caridad, el Museo de Artes Decorativas y el Mejunje. De igual forma desde nuestra casa podrá acceder fácilmente a sitios de trascendencia histórica como el Conjunto Escultórico Ernesto Che Guevara y el Monumento al Tren Blindado. 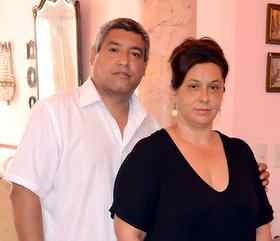 También hallarás muy próximo a nuestra casa centros que facilitarán su estancia en Santa Clara como casas de cambio, tiendas, bares, centros nocturnos, restaurantes y buró de información turística, entre otros. 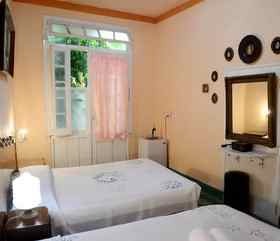 Hostal D´ Cordero can be found in a quiet secure zone away from the city traffic and near to essential places where visitor can appreciate our local and national culture such as: Caridad´s Theatre, Decorative Art Museum and “El Mejunje” entertaining center. People can easily get to our historical sites like Che Guevara Sculptural Complex, The Armoured Train Museum and Che Guevara´s statue. There are also other facilities nearby, like currency change houses, tourist information bureaus, shops, restaurants, bars and night clubs. Nice place, great people Diana and Cordero. We had a very nice rooms, big and really comfortable. Family is super friendly. Very helpful people. Very good cook and everyone in this house is always smiling. Any question you might have, they will help you out.